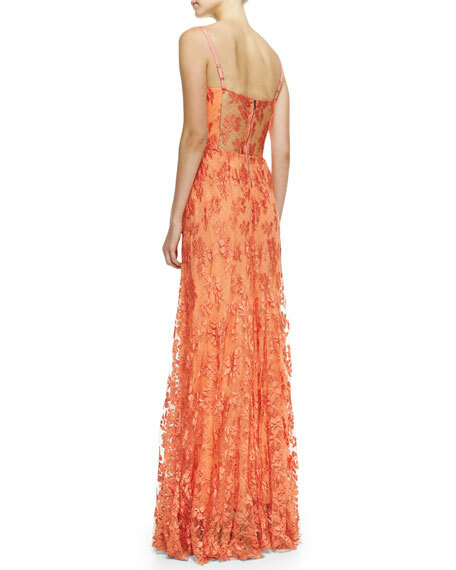 Alice + Olivia Tyler gown with floral-lace overlay. Skirt falls from waist to floor. Sheer panels frame back zip.